Outgoing Senate Majority Leader Bill Frist (R-Tenn.), whose family built HCA, said he will not run for president in 2008, and hinted he may return to medical practice in Tennessee. Frist, a cardiac surgeon, whose self-imposed two-term limit in the Senate will expire in 2008, said he will keep his options open after a sabbatical from public life. Frist, who had been considering a presidential run, was named one of 30 people to watch in the future of healthcare earlier this year by Modern Healthcare. 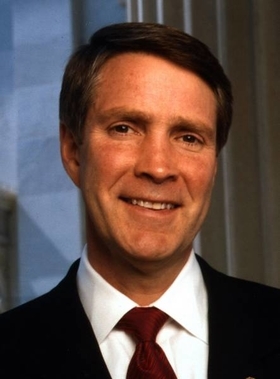 A vocal advocate of early prevention programs and health information technology, Frist has called for reforming Medicare and Medicaid to rein in federal spending. Frist is under investigation by the Securities and Exchange Commission for alleged insider trading in connection with a sale of HCA shares. A Frist spokeswoman said the senator is confident he will be cleared of any wrongdoing. Frist also was widely criticized for stepping into the debate over the medical condition of Terri Schiavo, a Florida woman who was pulled from life support in 2005 after a long legal battle. Earlier this year, he split from President Bush by backing federal funding for embryonic stem-cell research.